The two GOP frontrunners—Barry Goldwater and the recently remarried Nelson Rockefeller—both seemed to have significant obstacles to the nomination. The President and Texas governor John Connally reflected on the state of the nomination in early February. President Johnson: I don’t see that they [the Republicans] got anybody, though, that’s appealing to people much. Goldwater has gone crazy. He wanted to pour in the Marines [to Cuba] yesterday. He’s just nutty as a fruitcake. President Johnson: [New York governor Nelson] Rockefeller’s wife ain’t going to let him get off the ground. President Johnson: All he did was a 5 percent sales tax in Pennsylvania. Connally: Mm. I don’t see that. I don’t know how they’re going to get off the ground. I think they’ll probably go back to Nixon. Nixon or Scranton. But I don’t think any one of them can do any good. John Steele: It’s a very interesting situation. They really haven’t got anybody outstanding. Barry’s [Goldwater] slipped like the dickens all over his . . .
Steele: You know. And there’s a good deal of interest in Scranton. You find that in Ohio, and New York, and Connecticut. Your old friend, the former Vice President, is awful eager. Well, it’s a fascinating thing. I saw the Vice—Nixon—in New York, and he’s just sitting there, you know, hoping, something will happen. He really is desperately interested. President Johnson: Well, I hope they still got the copy of his news conference film, don’t you reckon? In the event, the strongest GOP challenger to Johnson was a figure not even considered a possible nominee before the assassination. The emergence of Henry Cabot Lodge unsettled both politics and policy in early 1964, as seen in this March 2 excerpt between LBJ and Secretary of State Dean Rusk. President Johnson: Now, what I’d like to see is every damn—every, every . 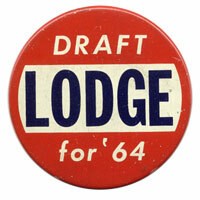 . . [Henry Cabot] Lodge is a long ways from here. And he’s thinking of New Hampshire [the primary], and he’s thinking of his defeats in the Republican Party, and he’s feeling sorry for himself. He’s naturally a martyr. President Johnson: He’s expecting people to get his goat. President Johnson: —complimenting him and agreeing with him, if it’s in the national interest, if it’s at all possible. I read one yesterday. I told [National Security Advisor] Mac [Bundy] I wanted to see the rest of those cables. President Johnson: But in this cable he says that he’s told them [the military] to clear out an area, and let’s have a victory. I think that we’ve got to build that [documentary] record. He says he wants a raise for the [South Vietnamese] army out there. If we can possibly get it, I think we ought to give it to him. President Johnson: I think we’ve got to watch what that fellow says, just be Johnny-on-the-spot. Have a runner the moment his cable hits come right to you, and before it goes back, you write out a longhand one [response]. Check it and let’s get right back to him. President Johnson: So that he knows that he’s Mr. God, and we’re giving him maximum attention. Lodge fell short, losing in an upset in the Oregon primary. The last Republican moderate was Scranton. 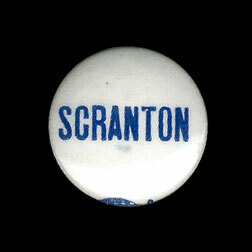 In early July, the President and John Connally considered the strengths and weaknesses of Scranton and Goldwater as possible opponents. 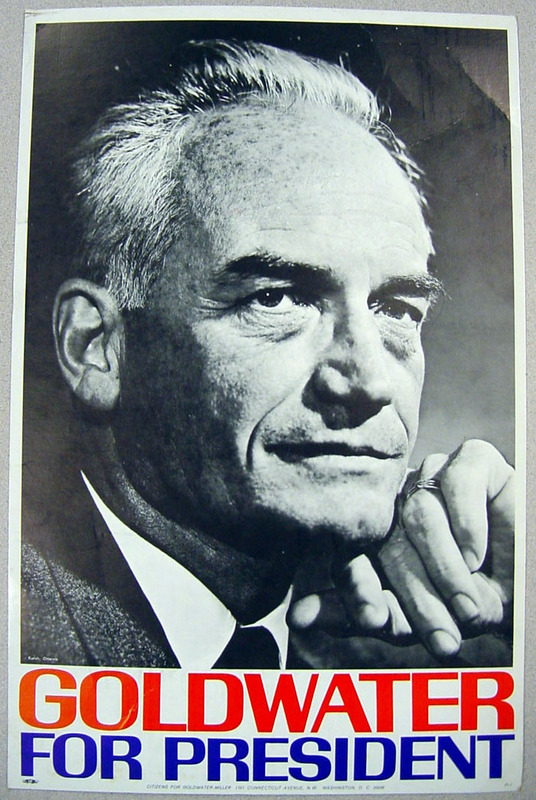 President Johnson: Who had you rather the Republicans nominate—Goldwater or Scranton? John Connally: I’d rather nominate Scranton. President Johnson: Well, a good many of them had. I think from the Southern standpoint it would be better, but God, if they nominate Scranton, we have all those newspapers, and all that money. President Johnson: They say he’s the worst in the world! President Johnson: They say he’s a real character assassin, but he does it in a Brooks Brothers style. Connally: Well, then I don’t know. President Johnson: They say he’s more vicious and more effective and more character assassination. He just destroyed [Richardson] Dilworth [in the 1962 Pennsylvania gubernatorial race]. 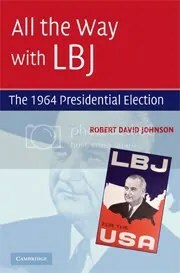 In mid-July, Goldwater denounced the President as a “faker” and “phony.” LBJ instructed Press Secretary George Reedy on how to respond. President Johnson: [John Kenneth] Galbraith said this morning that they spent a hundred years building the institution of the presidency up, and here’s a wild madman, a mad-dog, that’s going to tear it down in 15 minutes. President Johnson: And then wanting to succeed to the job. So he [Galbraith] says people are not going to take that. Reedy: I think that’s right. President Johnson: Well, I’d put that out.